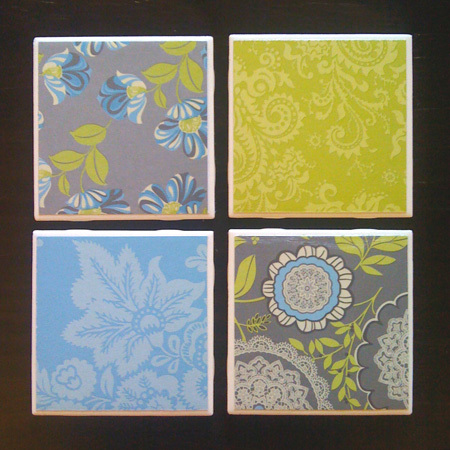 This page will continually be updated with things I’ve made. I’ve made a number of things, some of which are not located here. The reason being because either I don’t have pictures taken yet or some I don’t feel are worth showing off. 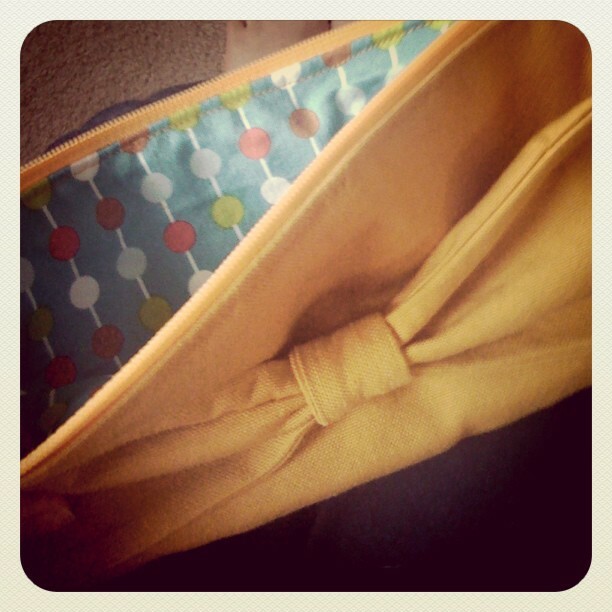 Mustard Bow Clutch with a geometric/mod polka dot lining. Gray Bow Clutch with a lovely red contrasting lining. 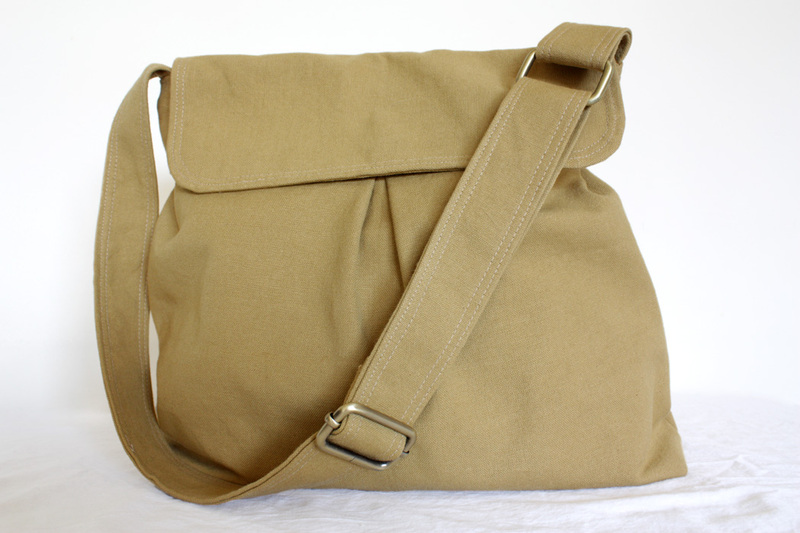 I’ve made this style of bag in a number of colors, all of which are selling (or have been sold) in my Etsy shop. 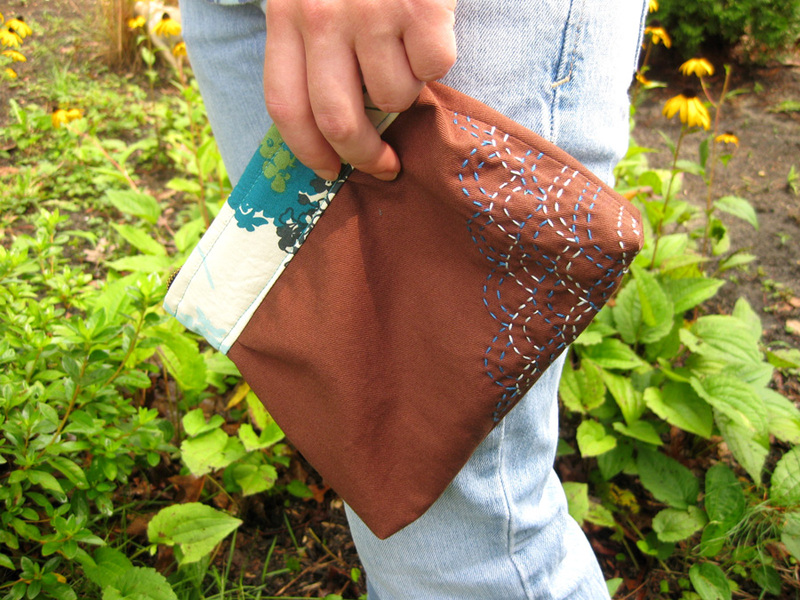 I made this makeup purse with Sashiko stitching for my sister’s birthday one year. 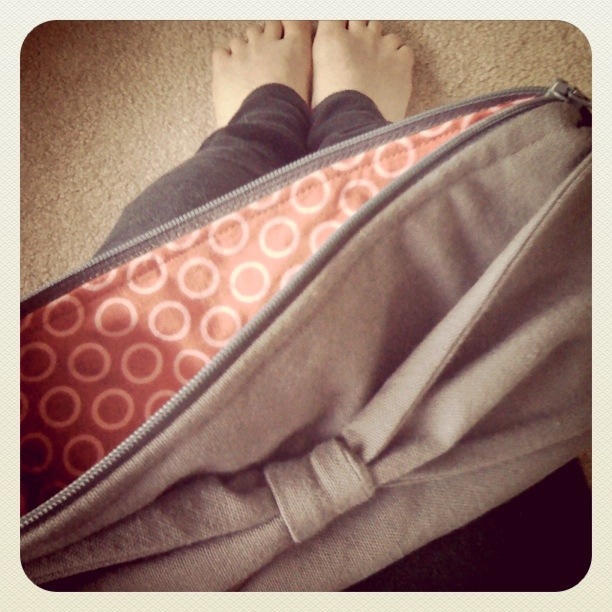 A random array of makeup bags/larger wallets. 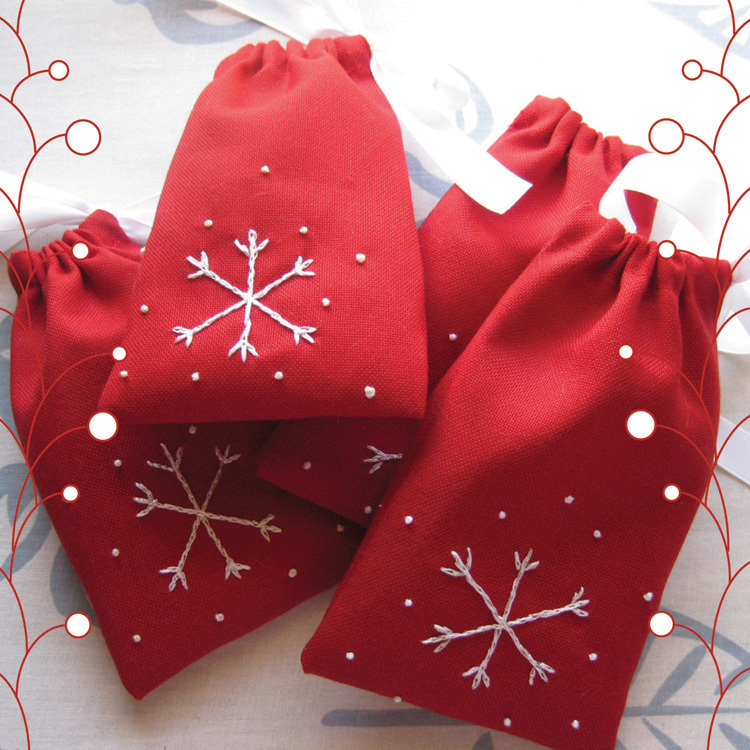 Little gift bags I made one holiday season. Pingback: A Portfolio of Sorts « It's a Hoot!